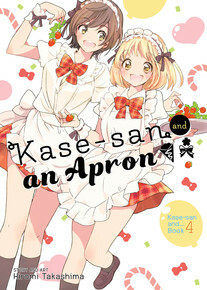 Yamada has made up her mind to go to Tokyo with Kase-san! Before that can happen, she has to get through her entrance exams–and that means cram school, which puts a huge limit on her free time with Kase. Studying is not the only thing interfering with their time together, though. When Kase-san’s senpai—the same one who’s rumored to be her ex—shows up, Yamada’s not sure what to think!